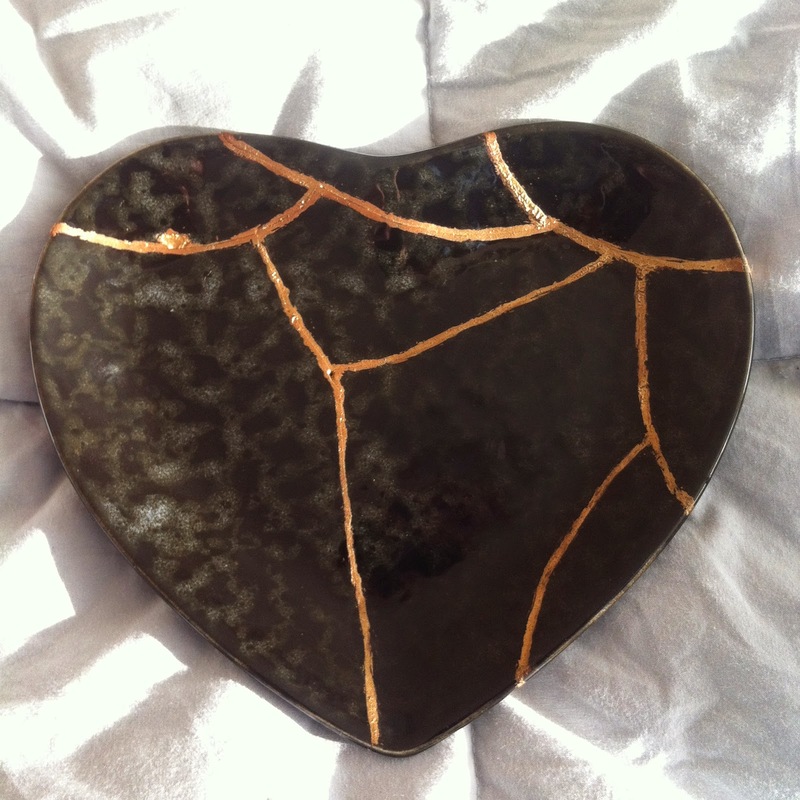 Kintsugi is the Japanese art of repairing broken pottery with lacquer mixed with gold or silver dust. “As a philosophy it treats breakage and repair as part of the history of an object, and not something to disguise.” In our society we see something broken as unwanted or unlovable. To me, the broken bits are the most interesting. When we are broken we become unmade from the structures that formed us. If those structures still worked we wouldn’t need to be broken open in the first place. Pain and heartbreak are the gold and glue that creates something even more beautiful than what came before. In the shattered heart lay our opportunities. In our brokenness lay our possibilities. In the beginning we aren’t often able to see this pure potentiality through the pain. We need time and space and permission. We need permission to live in the pain. We humans tend to want to bypass the pain. Let’s hurry up and move on. In my experience, unless I am present with the pain there is no moving on. I may think I have but the unresolved stuff will sneak up in the least likely moments and make itself known. I have recently been through another journey of brokenness and have refashioned something extraordinary out of that pain. At the time, I did not see how I could. I’ve been through enough of these dark nights to know that the light always comes. I didn’t know how but I did know that it would . . . and it did. I invite you to see the beautiful in the broken bits of yourself. Therein lies your magnificence. Della is a healer, artist, writer, psychic and yogi. Please visit her website here.